Whenever I am met with one of these black boxes, I just KNOW that there is a 99% chance that I will scream when I open it. My reaction wasn't just a scream, I also cried. I know that the Alexander Wang Diego bucket is an old style and maybe some people are sick of it but I think the calf hair adds a special component of texture to the bag which makes it new and exciting again! I guess I can cross this off my wish list! Bags are definitely worth the splurge when they are as stunning as this. ooh it's beautiful. What a nice suprise! & Happy belated bday! wow absolutely gorgeous... i am so jealous! thanks for following back but could you follow me on google friend connect? Love, love it! The studs are so cute. This bag is amazing. The details is very interesting and cute. Omgosh I would scream too! This bag is amazing! This bag is to die for! Thank you so much for your comment on my blog! Of course we can follow each other! I already am following you! Hope you do the same! omg, alex wang! hot hot hot. 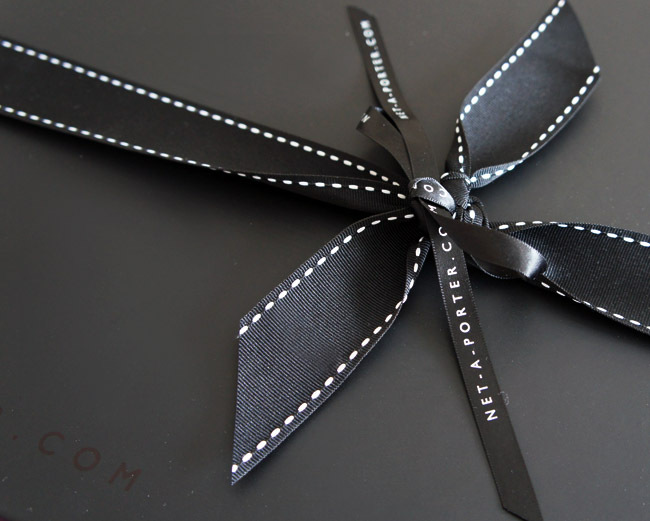 love me some net-a-porter shopping. awesome pics! thanks so much for the comment, haven't got on the bloglovin train yet...perhaps twitter? awww the bag is amazing ! i love your blog ! wanna follow each other? follow me if you love and i'll follow back ! you are so lucky! :) amazing bag! OMG! The bag is amazing! thanks for your sweet coment =) I love the bag! The bag is amazing!.....I like it very much. i've a question, i want to settle my blog to bloglovin but i didn't really get it how to do it. may you can text me how this thing works`? would be great! kiss and hugs! Thanks for your comment. Yes the shorts a really nice. I can`t follow you in blogvin because i havent my password. but we can follof each other on blogspot. thanks for your comment, jen! just followed you on bloglovin. have a great weekend! I have the rocco and I want the diego too! It's gorgeous!!!! I am following you through bloglovin (110), please follow me back!!! I don't use bloglovin but we can follow eachother via goggle if you want ?! thanks 4 your comment, i am glad u like it!! ok, i follow u, i will waiting 4 u in "Ks"
Awesome blog and post, congrats! Sure, I would love to follow each-other! I'm following you now with Bloglovin'(hope you'll do the same) You can follow me with Google Friend Connection 2, I didn't see one in your blog, if you have let me know! It reminds me to my Christmas' waiting list!! Thanks for the comment on my blog. I'm actually not the one w/ platinum hair. I'm wearing the all black in the first picture. I love the Diego, and even more in calf hair. Good choice! Beautiful bag <3 Love it! I will def be followin on bloglovin and blogger! Sincerely i love your blog. Visit me please. Loved that alexander wang bag! jen, your other half must know you very well. Really like your blog! ..and love the bag! wowwwwwwwwwwwww so cute!!! thanks for your comment!!! follow you!! Great bag! Thanks for stopping by my blog! Now following you on Bloglovin'. I would squeal, cry and dance all at the same time. Hooray for your present, it is lovely. super cute. i'd love to follow you. your BF is so kind! I've followed you in bloglovin ! amazing bag, love your blog! I cannot believe you got the AW Diego bag!! You are one lucky duckling :(. Oh how I wish to be greeted with a black box in the mail! That is one hell of a birthday present! 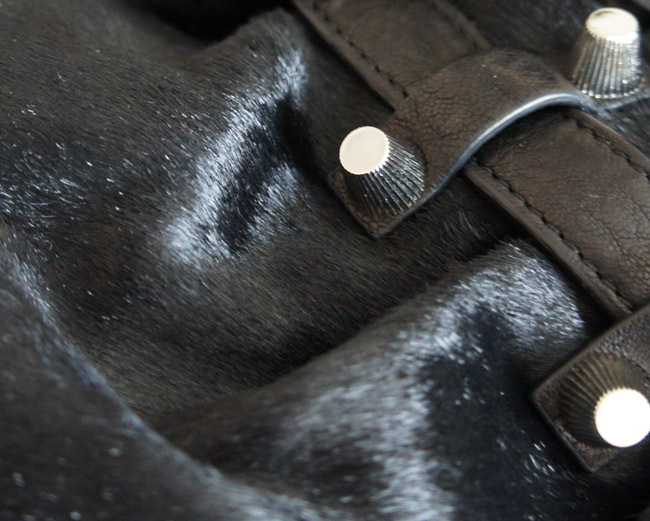 Love the bag and the texture! Thanks to stop by me, I'm happy to follow you! Thanks for your sweet comment :)! Sure! I'd love to follow each other! I just signed up via bloglovin'! Sure ! Follow us each other !!! I'm followin you with bloglovin ! This is so beautiful!!! I love it!! gifts from loved ones are ever so special! That´s such a fab bag, you´re so lucky you got it!! I´ve had my eye on a Rocco for aaaagessss! Thanks for stopping by my blog btw, I´m following you on bloglovin now! I just discovered your great blog! Lovely post! Love it so much !! I would like to follow each other! and you're sooo lucky! love the bag! Wow you are one lucky girl! Love the bag and I have been looking at his bags hoping to get one too! like the idea and the way you surprise....wonderful blog...I appreciate it. I'm gone to convey my little brother, that he should also pay a visit this webpage on regular basis to take updated from hottest news. It's pretty worth enough for me. In my view, if all web owners and bloggers made good content as you did, the internet will be a lot more useful than ever before.